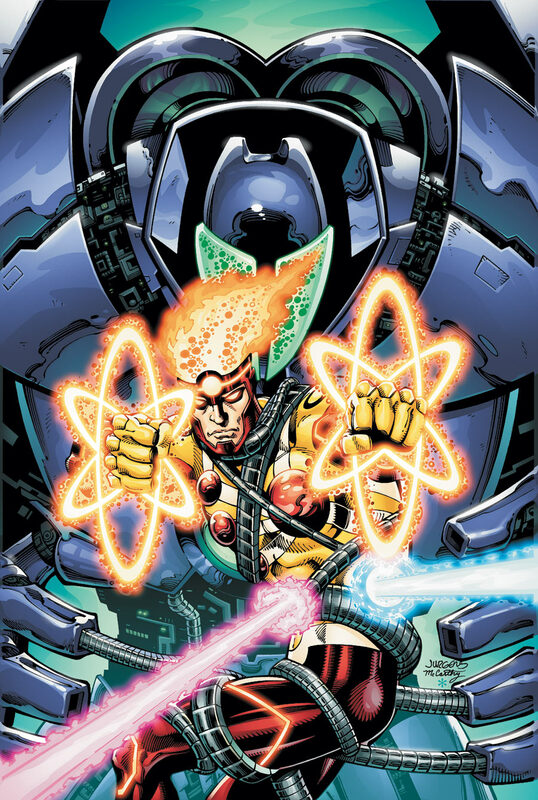 Yesterday DC Comics released the solicitation for The Fury of Firestorm: The Nuclear Men #16 shipping in late January 2013! Check out the fantastic cover below penciled by Dan Jurgens and inked by Ray McCarthy! It feels very Kirby-esque to me! Click the image to enlarge! Firestorm is Public Enemy #1! Ronnie and Jason weren’t exactly getting along before their super-powered alias became a fugitive, so this won’t help matters at all! And to make things much worse, Firestorm has been targeted by N.O.W.H.E.R.E.! Sounds like big things are happening over in Fury of Firestorm! If you are unfamiliar with N.O.W.H.E.R.E., they’ve been plaguing the Teen Titans and Superboy since the start of the New 52. Looking forward to these new issues! Posted in: Comic books, Dan Jurgens, Firestorm #10: New 52 v2 (Ronnie/Jason), Firestorm comic vol. IV, Jason Rusch, News, Ronnie Raymond. Do I even need to say it? If the Teen Titans and Superboy guest star in this book I’m going to go off the deep end! So now we have to wait until the spring for even maybe a glimpse at a rogue. By that time it may be too late if numbers dont improve. Also im starting to dig the Tron lines on the suit!